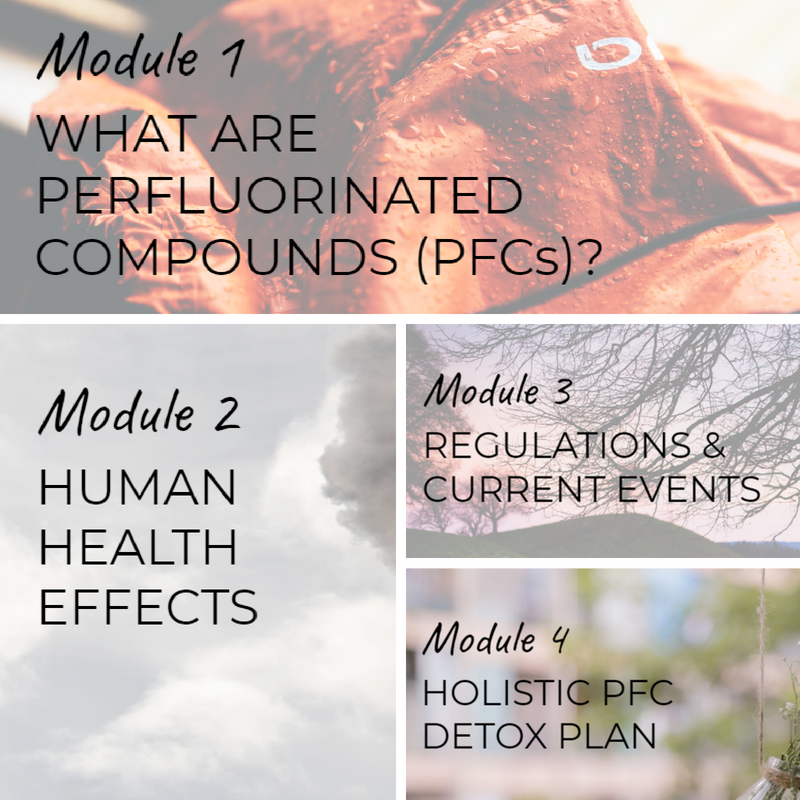 Module 1 [What Are Perfluorinated Compounds (PFCs)?] I’ll explain exactly what perfluorinated compounds (PFCs) are and the types of products you’ll find them in. Module 2 [Human Health Effects] We will discuss the human health implications of this class of chemicals. Module 3 [Regulations & Current Events] We will explore the current regulatory landscape and discuss current news, including the March 2018 announcement from the DoD. Module 4 [Holistic PFC Detox Plan] I will give you some strategies for protecting your family from this dangerous class of chemicals.